Well, I did it. I’ve reached 50,000 words and completed the NaNoWriMo challenge for 2017. I’ve never completed a NaNo this fast. I’ve managed to work out a good system so that I usually finish a little early, but I’ve never been done this early. It’s a weird feeling. I know I did it, but I keep looking back on my novel thus far to check and make sure I actually did it, that I haven’t imagined the whole thing. I say “thus far” for two reasons. One because, as has become the habit of mine, this story has shown that it is far longer than 50,000 words. And two because, although I have finished the challenge, I have no intention of stopping. This is another surprising thing as, in previous NaNo’s, whenever I got to my word count goal, my drive drained almost immediately. I pushed hard for 50k, and, the moment I finished, my brain decided it was vacation time. I’ve always been a little ashamed of that and wondered how far I could get if I just kept up that pace. I’m excited. At the same time, I am starting to feel it. I’ve written before that every NaNo ends up being a challenge for reasons outside of the novel itself. Every November, I’ve always managed to find myself in some deep, personal crisis. Depression, anxiety, despair, moving, moving again. My life always seems to unravel, just a little, come November 1st. I knew this year wasn’t going to be different. I find myself, yet again, in a new city, working two jobs. The challenge to find the time, or make the time, to write, to stick with it and not lose myself to stress and deadlines, loomed even before I started. And yet, not entirely unexpectedly, the real challenge was beyond even that. This year has been unprecedented in the opportunity I’ve had to encourage other people starting out in the process. I’ve been able to give some great advice that I’ve gained through my own NaNo experiences. And, as usual, I’m being challenge by my own words. They say if you want to really understand something, try to teach it to someone else. I know that’s true from experience. I’m also learning that if you want to really learn a lesson, give someone a piece of advice. I guarantee, it won’t be long before you are challenged to apply those words to your own life. NaNo is about showing up. I keep telling people there is no magic, just that. Show up. When you don’t feel like it. When you don’t know how. 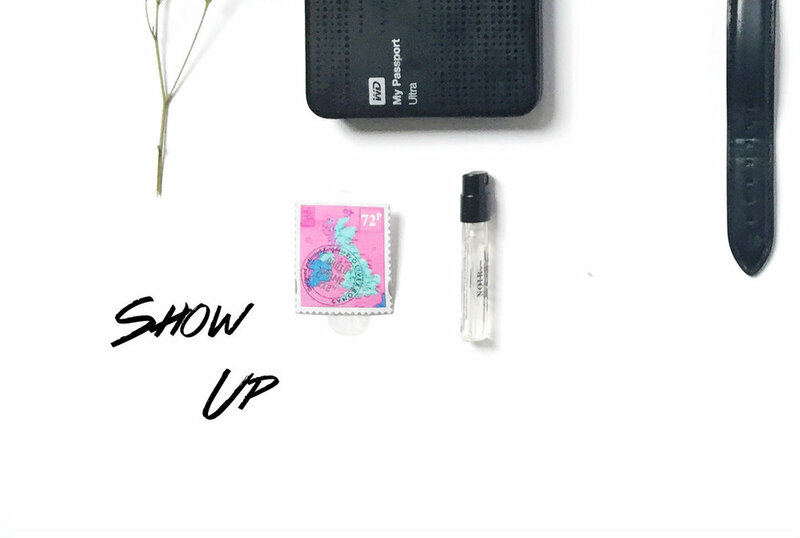 Show up anyway. Show fear and doubt the door, and then do it anyway. The crisis for me this year has been: can I take my own advice? Things have been going well, which, for me, means it was only a matter of time before I started to wonder: what if it’s all wrong? My anxiety really showed up in earnest this week. I had such a great week before with NaNo, I shouldn’t have been surprised. When you make progress in one area, you’d think it’d help you realize the other areas will work themselves out. Instead, it tends to make you wonder if the only thing you’ll ever make progress in is something unimportant. You start to doubt progress itself. Because you can see the words add up, but you can’t see anything else in your life. Nothing else comes with a counter and a bar graph that make it easy to see that you are, in fact, doing something, that it’s all adding up. I tell people to show up, but this week I really wondered if that was going to make a difference. I’ve always had a very tenuous relationship with my own desires. It’s felt, for many, many years, like naming them, having them at all, was a good sign that I’d never get them. Because I never seem to get exactly what I want. And that makes you wonder if there’s something wrong with you, like you don’t know how to “want” right. Because if you did, then why does your wanting something never seem to make a difference? That, of course, is a deep ocean of things I have to work through. In the end, I don’t know. I’ve never had a really good answer to that question. But that’s kind of the point. NaNo is always surprising. Either in the story or what happens while you’re trying to write it. Half the reason to show up is just that. To see how it’ll all work. Because you won’t know until you show up; because nothing can happen until you show up. So you have to show up. Even if you don’t feel like it. Even if you can’t see that any progress is being made. And the hardest lesson is that you will still feel that way. I used to think I wouldn’t be a “real” writer, that I wouldn’t have become the kind of person I wanted to be until I didn’t doubt all the time. There are days I don’t. When I have that crystal clear confidence that tells me it doesn’t matter if I can’t see how, it’ll still work out, and be all the more exciting because I couldn’t see it. And there are days I doubt that conviction completely. There are days I doubt all my efforts, when I know, KNOW, that I’m messing it all up. That I’ve missed my chance, and I’m kidding myself by thinking I’m making the right choice by sticking with it. I had a lot of those days this week. I don’t think I’m quite out of them yet, either. And I wish I could tell you that all it takes is telling yourself you can. I wish the answer was as simple as deciding: I am going to believe better. It’s a start, but it’s not the end. I want to believe that my bad days are just bad days. That they are just anxiety lying to me, and my good days are when I see the truth. I do, but there are days I doubt that. But I’m still showing up. Because I can’t always believe in myself, but I can believe in a story. And the one lesson every NaNo has taught me is that the story is worth finishing. So what if it’s a bad idea? Who ever said it had to be a good one? Finish it. You won’t know until you see it to the end. And for that you have to show up.